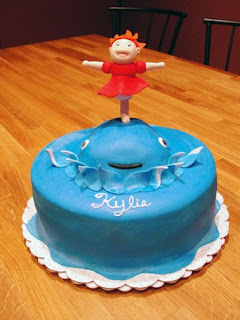 I've been asked to make a Ponyo cake for my cousin's little girl's birthday. Ponyo is such a wonderful movie, like all Ghibli Studio's, and needed to be represented well in this cake. I could not butcher this...that's what I kept telling myself as I shaped little balls into the adorable Ponyo. I spent 3 days thinking about how I was going to keep her upright in a running motion, and where was the stick going to go?! 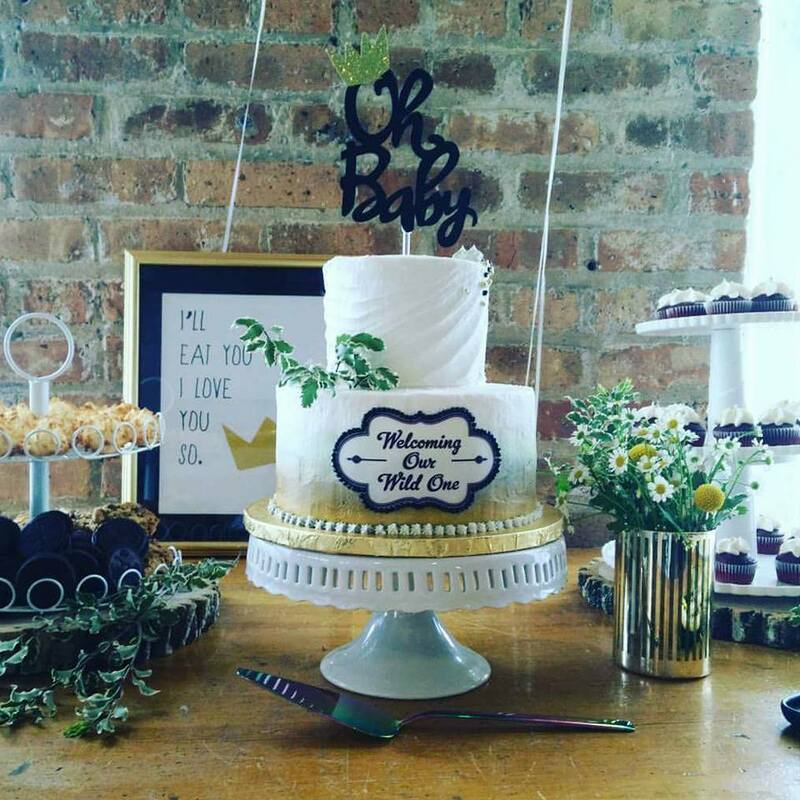 I drew up a sketch and finally worked out the technical stuff, and it was time to bake! I started with a chocolate fudge cake and added a touch of almond extract, and filled each layer with some chocolate bavarian cream...Yum! The fish that Ponyo stands on is carved out of rice crispies treat, and is covered with buttercream icing along with the rest of the cake. 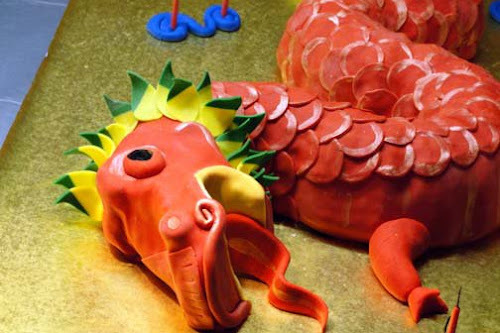 Rolled fondant covers the cake for a smooth finish. 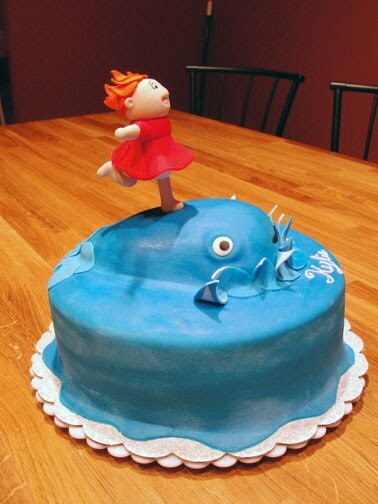 Ponyo was shaped out of a fondant and gumpaste mix. I'm pretty pleased with motion of her hair and skirt. I just hope Kylie likes it too!